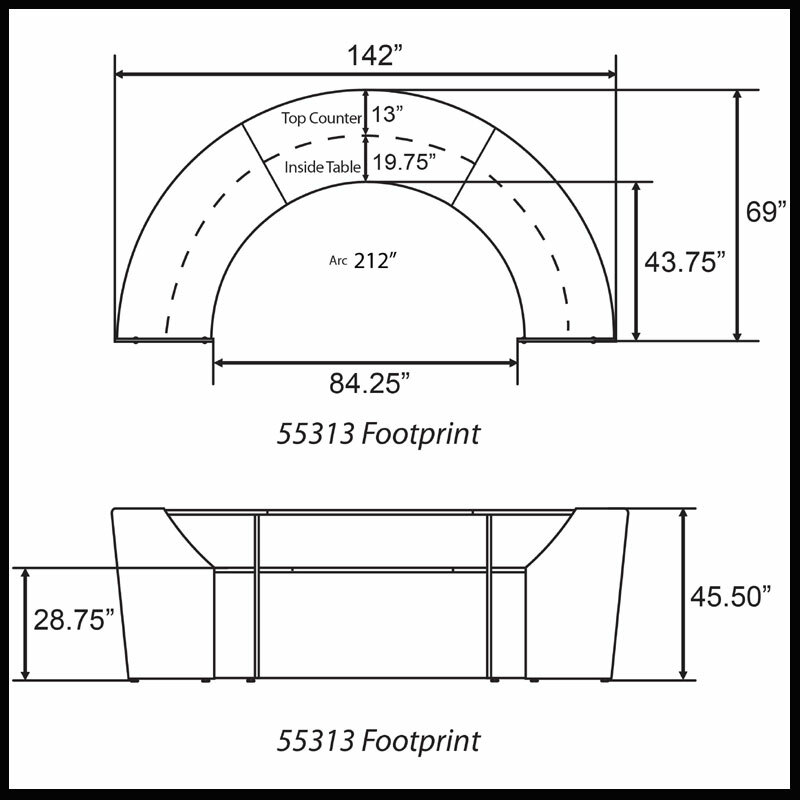 More on the OFM Triple Marquee Plexi Reception Station (Various Finishes) OFM-55313 below. 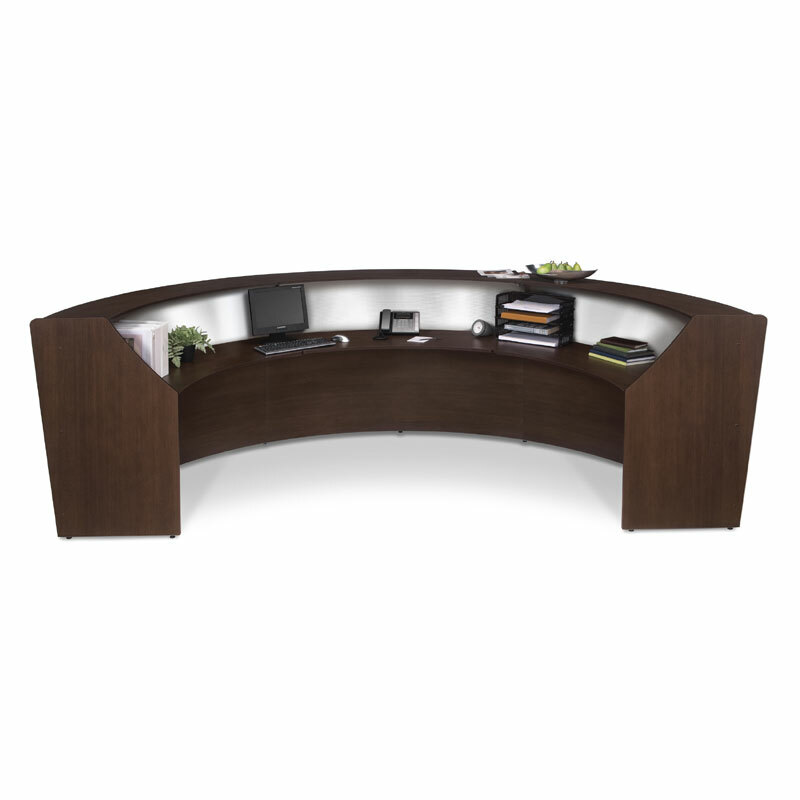 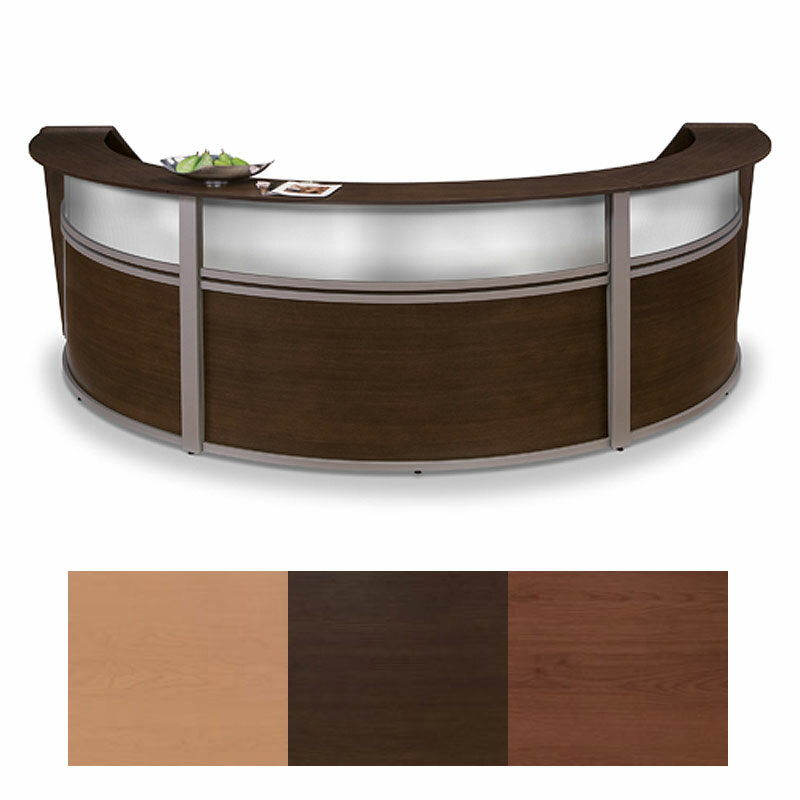 A beautiful, curved reception design with modern metal accents and translucent polycarbonate panel. A scratch-resistant, thermo-fused melamine finish, available in maple, cherry or walnut.